Fran Myers—Adult ed—impending Janus decision—possibility UFT may have to cut budget and staff—Janus would be paper tiger if UFT had solid support—has been playing to corporate interests. Getting card or app are good ideas for ordinary times but not enough now. 13 to 17 adult ed. teachers have private lawyer for age discrimination. UFT said was hard to win. Chapter members say 26 0r 28 U rated teachers in 50s, 60s and 70s. Where was union? Only two consultations this year. Was in NY Post. Larry Becker attempted to have rep barred, and we lost consultation because he was not available. Mills says 29 teachers trending toward U. Another 20% loss of membership. Members wonder why they should pay dues. ATRs also want CL, but Exec. Board voted them down. 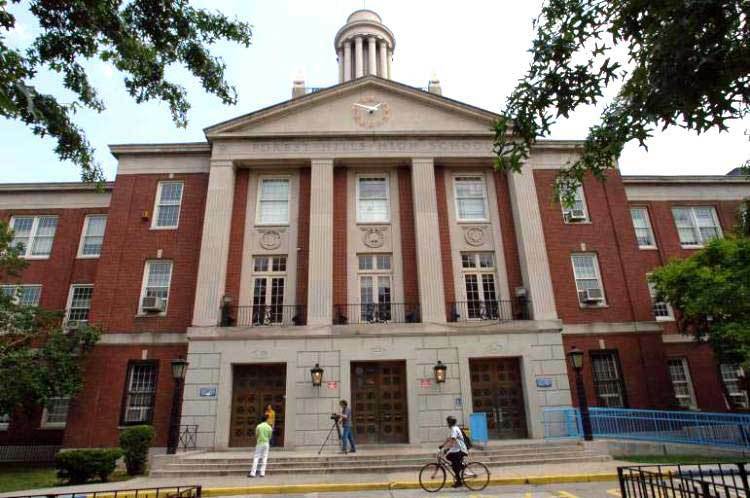 Judge questioned why union was not part of suit for PS 25. Why not? Some people won’t feel need to pay dues. 60% of new teachers leave after 5 years. Many see no future or pension. If UFT doesn’t address concerns they will question commitment to pay dues. UFT sowing seeds of own destruction. Jim Hogue—Forest Hills HS—3 other teachers here. 25 year teacher. Presently battling with principal Ben Sherman. Trying to destroy union. Has history, drove CL out. Our CL under assault and all who complain get punitive observations. Asks UFT to rise to challenge, interview them. SBO rejected, principal threatens punitive schedule. Prefer personal hardship to his leadership. Please contact me. CL received two LIF for insubordination after SBO vote, one for putting time card upside down, one for studying wrong skedula training. Schoor—Asks for anecdotal to bring to DOE, More receptive now with new boss. They want specifics. ?—List of grievances by all teachers in school—use of intimidation, not just gratuitous observation, but also student perception survey data. Have letter from other staff member, pressure to rearrange data so more students can pass. ?—Safety—We had a bomb scare—lack of communication, told to stay in classrooms, notified by multiple deans principal stayed in office. Turned off door alarms, despite increasing gang problem. Allows students to wear hats, including gang colors. Stopped manning bathrooms, vaping and marijuana issues. Marcel Latesse—Retired—FHHS was joy to teach at. Colleagues optimally motivated, creative, bring energy to classroom. Was known teachers and students were talented. Could teach as they saw fit within guidelines. Sickened by new tone. Not groups, cliques, but 90-100% upset with principal. Dysfunction everywhere, people disgusted being there, drug problems, searches prohibited, clubs curtailed, C6 manipulated in violation of CBA. Turning teachers against students. Principal told student government if you get out late it will be teachers’ fault for voting down SBO. UFT rep accused of being anti-Semitic. Principal reported him because there was a board with a picture from East West. FHHS was flagship large high school. When teachers are allowed to do their job they can do wonders. We now face destruction. Will go to media, elected reps. Asks union to work with us. Janella Hinds—Thanks FHHS teachers. James Vasquez, Amy Arundell and our team will work with you so activism can continue into this and next school year. Mike Schirtzer—Union position on PS 25? Camille Eaddy—District 16 Rep.--First day letter sent out Deputy Chancellor Rose, reiterated judge’s decision. Nothing final. Children not being mandated to attend other schools. Keeping to stay but nothing is final. Schirtzer—Are we advocating to keep open? Arthur Goldstein—Mayor de Blasio’s DOE is not acting in good faith in the grievance process. It hires lawyers who may or may not have read the collective bargaining agreement. They routinely advise principals to ignore it utterly. Thus, in my building alone, there are outstanding grievances for incidents that occurred over three months before being reduced into writing. There are outstanding grievances for not consulting with members before placing letters in file. There are outstanding grievances for letters in file over three years old not being removed. Considering that we have no recourse until and unless there is a 3020a proceeding if principals simply fabricate incidents, and considering we have no recourse until and unless 3020a if principals write up incidents so petty that they do not even merit discussion, it’s doubly outrageous that Tweed engages in these practices. I watched a hearing officer engaged by the chancellor suggest rationales to my principal for ignoring the contract. Some of these officers don’t even pretend to be fair or impartial. Because we lose so many solid grievances to a rigged process, we have to waste limited and costly arbitration time. Not only that, but because arbitrators have to rule on so many black letter cases, it’s not a huge leap of logic to imagine we lose on more gray areas than we need to. DOE does not even bother acting as though they respect the CBA. My question is this—why don't we take the DOE to PERB or to court, or to both, for their obvious, consistent and blatant bad faith? Schoor—Maybe we should use grievance process for this. Maybe only your school has all these grievances. Jonathan Halabi—School calendar—Can we talk to NYSED and NYCDoE and resolve this - June 26 is the last day of the 2019 school year (and an attendance day) but the State has designated it as a regents “Rating Day” (no kids in attendance)? Schoor—still fighting—They want to extend work year by five days not counting passing time. We are fighting. Ashraya Gupta—Excited about integration in specialized schools—what is union’s take on DeBlasio’s comment on changing state policy? Schoor—press conference yesterday, Janella, Mulgrew there. Watch it if you like. President will address that. 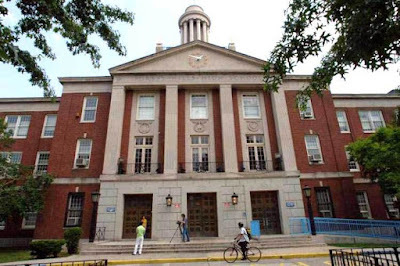 President’s message—Michael Mulgrew—Speaks to FHHS—biggest issue we’ve had with de Blasio is nothing changed in legal process. A lot of people, unqualified, get positions of power. Combine that with unchanged legal process. Who you know made you principal under Bloomberg. Frustrates us to no end. System can’t move forward until we have a whole different way of choosing people who can work with others well, lead. We need an observation system to reflect that. Amusing to me that union according to NYT is so horrible with principals. These principals did very bad things. We cannot celebrate when someone is removed from a job. I was at a district scholarship luncheon on Saturday. PTA Pres, others have petition to remove superintendent. Got to this place because DOE was completely unresponsive. Working on this issue, had volunteers from schools, de Blasio has some of our recommendations for new plan. Chancellor and mayor now support us. When mayor says chancellor will now listen, it means they haven’t been fro four years. Dealing with this issue. Why is it who you know makes you principal or AP? We created a ladder position. Most teacher leaders don’t want to become admin, but have proven track record of getting along well with people and moving instruction. These are important qualities. Under their legal dept., when we push, it’s a pushing match. Disgusting SBO goes down and CL gets LIF an hour later. I know what NYT principals did. Every one of them should’ve been gone. Mind boggling that no one does what we do. Best ed. institutions in this country would never use single criteria test for admission. We used to have programs before Bloomberg to help people. Albany tough. Had great rally against Marty Golden. We want APPR done. 9 other demos across state. Golden introduced voucher bill after Assembly passed APPR. Moving into official negotiations. Good we have new chancellor. He doesn’t have ties already. Not part of pre-established club. People at DOE suddenly collaborative. Janus not out today. Does not have to come on Monday. Can come any day. Moving slowly. Counsel says SCOTUS always finishes docket. Must have school conversations. People will try to get them to drop out. Leafleting outside of NYC saying give yourself a raise. Must educate members. Will be hectic, but we’ll deal with it. See you Thursday at negotiating committee. George Altomare—Last Friday UFT players had 20th anniversary. 400 members and families. Go and support. Rashad Brown—coming to report on Drumm scholarship brunch—over 100 people, gave two scholarships. Drumm overwhelmed by support, says this was best honor, from union he loves so much. Next one June 1, 2019. Schoor—Drumm said mother was also teacher, very honored. Sterling Roberson—CTE Expo Evander campus, thanks all schools and participants. Met with industry partners and leaders. Great effort. Teachers rock the runway made union hall into fashion show. Collective responsibility, but Jeffrey Bernstein put it together. Were lots of others. Jonathan Halabi—Specialized HS—sometimes things work correctly. Janella began task force and we had volunteer teachers come in and work out things. We saw number of students of color plummet. Put out good report, because UFT policy. hears parts of what we said showed up in proposal mayor used. Evelyn de Jesus—June 10th Puerto Rican parade—will be very special, president of teacher union grand marshall, Iris deLutro honored. AFT and NYSUT will be there. Hope to see you. 44 between 5 and 6. Paul Egan—Thanks EB for sponsoring Chelsea, shows banner on podium. Chelsea won cup, Eagles won super bowl. Everybody needs to remember—federal congressional primaries in June. Take nothing for granted. Get right people elected. GOP race in SI interesting. Dan Donovan endorsed by NYSUT. Has allowed NYSUT and AFT and UFT voice to be heard. Evelyn de Jesus—Bill sitting in Senate. Bill says should be local control over teacher eval. We know teachers want to get rid of mandate. Locals should have other options. If doesn’t pass, moratorium will expire. We want to control our own destiny. Please vote for resolution. Mike Schirtzer—Why are we not calling for repeal of 3012d and c? Agree it should be local. Trusts UFT to work out system for us. Schoor—Lot of moving parts, some state law, some local negotiations. Some will be on table, some not. We try to do things that can actually get passed. That’s why it’s part of law. Other part would not get past State Senate. Trying to get what we can passed. We feel it can get passed now, other things not. Schirtzer—Would bring back some local control? Schoor—control over tests. Will no longer mandate Regents.